More than a few questions after dubious attempt to say it was done by Trump supporters! Jessie Smollett, an actor, singer I've never heard of but apparently a big time Trump hater claims he was the victim of a racially motivated attack by Trump supporters last Tuesday in Chicago. Unlike the online legion of Trump haters who ginned up another bout of race hysteria I was willing to wait for more information. Coldest night in recorded history and Jussie goes out at 2 AM for a sandwich in rich Chicago neighborhood. Such a vicious attack and yet Smollett later said no ribs were broken as he took to the concert stage to perform on Saturday in California days later. Also, Smollett had gone out at 2 AM on one of the coldest nights in recorded Chicago history to visit a Subway sandwich shop. OK... that's weird. Surveillance footing shows that there was almost no one on the streets but we are supposed to believe that two race hating thugs were waiting outside just in case a black guy walked along in this very upscale Chicago neighborhood? Further compounding our curiosity he claims he was on the phone DURING the attack in which his manager overheard the thugs saying "this is MAGA country" a reference to Trump. How anyone would think Chicago is MAGA country is beyond me. But Smollett reported that the thugs placed a noose around his neck in this attack that was supposed to have left him badly hurt but was still able to hold his phone and his sandwich. 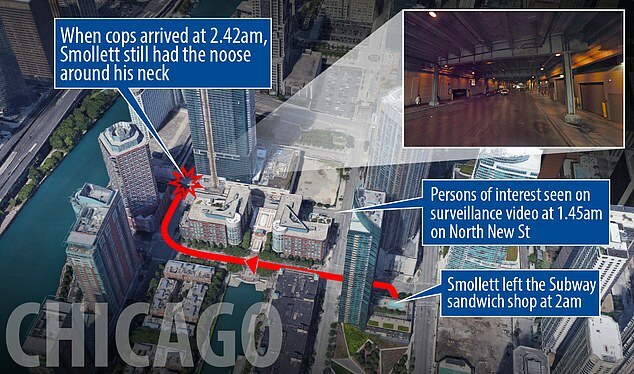 And why did Smollett walk into the lobby of the luxury hi-rise he was staying in, past security guards and wait for an extended period with the noose still around his neck before calling the Police? A massive police dragnet of the area turned up no evidence of any attack and Smollett refused to turn over his phone to confirm the call with his manager. Yet the headlines about racist Trump haters and the hysteria they generated are still out there. We're glad Jussie is OK and that whatever happened hasn't caused him any apparent harm. And if there was an attack, we would hope the police would be able to corroborate the incident and bring any perpetrators to justice. But when I heard about the noose I became suspicious. Nooses are frequently used in fake hate crimes as race hoaxes. Democrats are even using them in political campaigns. If racism by Trump supporters is SO prevalent, why do so many lefties have to fake it? Either way, this is the latest example of where left wing hysterics rushed to judgment and fomented racial discord just because they wanted it to be true. 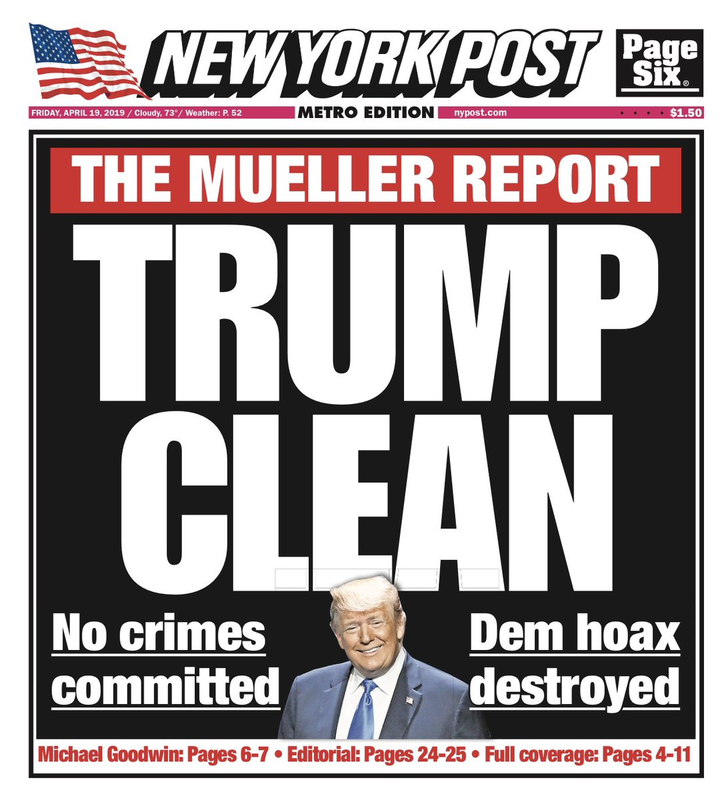 But of course they blame Trump for dividing America. Yeah, right!